Group News Blog: To Be or Not To Be? 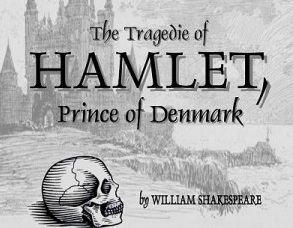 When it comes to the debt ceiling and this administration I feel like we are nationally having a Hamlet moment. There have been bloggers and writers a plenty who have compared the president to the prince of Denmark, but what does that make the rest of us. The president knows who the bad guys are, He knows what the right thing to do is, He know the risks we are facing and yet he is pacing the battlements wondering what to do. Claudius is of course the whole crazy tea-party GOP fiasco with their sexual appetites, bizarre realities and ridiculous legislation. To press my metaphor further, we have the Bluedogs and the Gang of 6 like some kind of Polonius character spouting ridiculous advice and cliche like they are the wise elder statesmen rather than the bluedog corporatist hacks we know them to be. Polonius - The Lord Chamberlain of Claudius’s court, a pompous, conniving old man. And the left, well, we collectively are Ophelia. Ophelia - Polonius’s daughter, a beautiful young woman with whom Hamlet has been in love. Even in her lapse into madness and death, she remains maidenly, singing songs about flowers and finally drowning in the river amid the flower garlands she had gathered. To make matters worse, our Hamlet instead of relying on his various Horatio(s), seems to send his closest advisors and supporters packing (like Elizabeth Warren, Van Jones and the like) so he is going it alone against a sea of adversity. The American people are Gertrude, they love Hamlet and what he wants to do for them, but they have become shallow and unable to face the truth of the direction that Claudius is taking the whole damn country. They are guilty by default as they are distracted by cable news and spout nonsense fed to them by claudius and the gang of 6. They should throw the bum out of their bed and seek their former high ideals and dreams of a more just nation. There isn't really a good character metaphor for the Mainstream Media. Maybe they are a part of the Polonius crowd or Rosencrantz and Guildenstern? not sure on that one, but they certainly aren't a friend to our Hamlet. And they have no desire to make a change as they are enjoying the shallow depraved show being enacted between Claudius and Gertrude. Sadly we know how this turns out. Lots of dead folks. Including our Hero. and All of us... I don't see things turning around any time soon. This masterpiece theater moment brought to you by the Great American Tragedy and sponsors like BP, WALL STREET, EXON and by a generous grant from The Military Industrial Complex. notes on Hamlet characters clipped from SparkNotes.